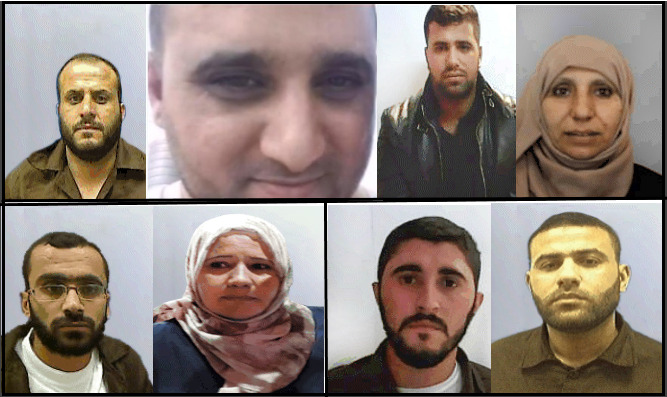 Shin Bet foils Hamas effort to expand terror activities to Judea and Samari by exploiting Gazans with humanitarian entry permits to Israel. Israel’s Shin Bet internal security agency announced that it had thwarted attempts by Hamas to establish a terror network in Judea and Samaria. Hamas had tasked operatives in Judea and Samaria with building a terror network in an attempt to commit a series of deadly terror attacks within Israel. Following their recruitment, Hamas taught the operatives how to manufacture explosives and schooled them in target selection. “This activity of the Hamas military wing joins a long list of attempted terrorist attacks directed by Hamas by recruiting activists in Judea and Samaria.,” said a senior Shin Bet officer. Hamas had decided to carry attacks in Judea and Samaria in order to escalate the security situation in the region. The Shin Bet stressed that the plan differed from previous efforts in both its scope and the damage that the attacks potentially would have caused. The Shin Bet caught on to Hamas’ efforts after it arrested 25-year-old Owes Rajoub, a resident of the town of Dura adjoining Hevron. Rajoub was nabbed before he could carry out terror attacks with the explosives he had purchased. During his interrogation, Rajoub revealed that he had been recruited by an activist from Gaza, who had approached in query whether he would be interested in carrying out terror attacks within Israel. On August 11, 2018, Rajoub was instructed by his handler in the Gaza Strip to go to a drug store in Ramallah and collect a mobile phone from there to serve as their main way of communicating. A few days later, Rajoub was instructed to meet with an operative in the Bethlehem area, in order to obtain a password and additional instructions for using the phone he was given. His handler then ordered him to meet an elderly woman from the Gaza Strip who had come to Israel for medical treatment. The woman gave Rajoub a pair of pants which had his instructions from his handlers written on this inside. 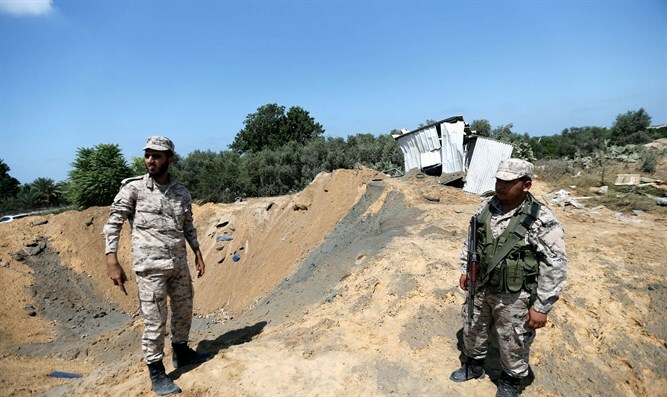 Rajoub spoke with his operators in the Gaza Strip via the phone he received and began to receive training on preparing explosive devices with video clips sent to him and video conversations with a terror mastermind. Rajoub was ordered to carry out a terror attack as soon as possible, with instructions to choose a target that was packed with civilians, such as a restaurant or a large building. Rajoub then recruited two Arabs in order to help him manufacture the bombs. The attack was only foiled after Rajoub was arrested in September. Hamas had used Gazans with permits to enter Israel for humanitarian reasons to carry messages between operations. While Gaza residents are not commonly allowed to enter Israel, the IDF allows some residents entry for medical and family reasons. “Hamas cynically used Gazans who were authorized to enter hospitals in Israel for life-saving treatment, as well as Gazans who were asked to send messages to recruits in Judea and Samaria,” said the Shin Bet.